As the Zapatistas and their supporters around the world celebrate the 20th anniversary of the EZLN Uprising, the Chiapas Support Committee wishes all our friends and compañer@s a HAPPY NEW YEAR! 2013 was a great year for both meeting new people and working with long-time friends. We thank everyone for your interest and participation and look forward to working even harder in 2014. There are a lot of articles commemorating the 20th Anniversary. You can find them on our Compañero Manuel blog. CSC. 1. EZLN Issues 3 Comunicados – The Zapatistas released 3 comunicados: Two Important Notices; Rewind 2; and Rewind 1. In the first comunicado, Moisés provides some information for those attending the Escuelitas in December and January and for those who did not receive an invitation. Remember! 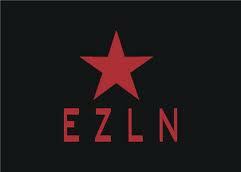 The EZLN said that there will be a fourth Escuelita in either April or August 2014. In Rewind 2, Marcos offers comments about the recent privatizations (the government calls them “reforms”) of energy, education and justice and compares them to the Article 27 land “reform.” In Rewind 1 Marcos discusses “for profit” media in a postscript. It may be the EZLN’s way of answering the recent article in El País by Maite Rico, and perhaps others, who incorrectly claim that the Zapatista communities are no better off now than they were in 1994. In both Rewind 1 and 2, Marcos is also remembering those who gave their lives for the movement. 2. Good News! San Sebastián Bachajón Prisoners Released – Just in time for the Holidays, Miguel Demeza and Antonio Estrada, both residents of San Sebastián Bachajón and both unjustly incarcerated for crimes they did not commit, were released from prison in Chiapas. They were political prisoners whose unjust imprisonment was considered to be part of the repression against those resisting dispossession because of the massive tourist project proposed for the area surrounding the Agua Azul Cascades. 3. The TPP Holds Hearings in Chiapas – On December 6 and 7, the Permanent Tribunal of the Peoples (TPP, its initials in Spanish) held important hearings in Susuchumil, a Chol community in Tila municipality, Chiapas. The Tribunal’s purpose was to take testimony from witnesses, survivors and relatives, all victims of the “dirty war” (counterinsurgency or “low-intensity” war) in Chiapas against the Zapatista National Liberation Army (EZLN). Those affected by the human rights abuses gave testimony about forced disappearances, murder, forced displacement, sexual violence and 2 massacres perpetrated by paramilitary groups; all of which remain unpunished. 1. New Guerrilla Group Emerges in Guerrero – Around December 1, the Revolutionary Armed Forces-Liberation of the People (Fuerzas Armadas Revolucionarias Liberación del Pueblo, FAR-LP) emerged publicly in the Mexican state of Guerrero. Commanders of the FAR-LP met with members of the press somewhere in the mountains of Guerrero, where they read from a comunicado. Among the armed group’s demands are the liberation of CRAC leaders Nestora Salgado García and Gonzalo Molina González, as well as the coordinator of the house of justice of El Paraíso, Bernardino García Francisco and 12 Community Police members. The FAR-LP claims to have a presence in the areas of Acapulco, La Montaña and Costa Chica.